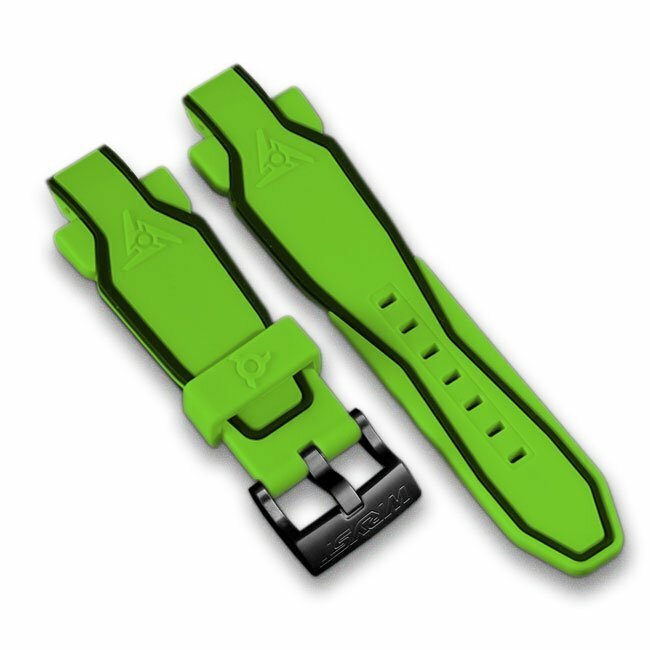 Green sports watch bracelet with black side lines and square black DLC buckle. 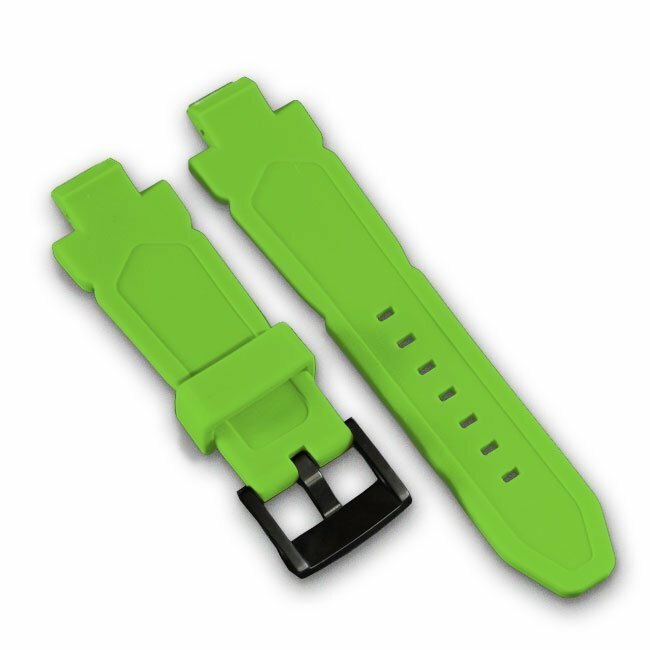 The groundbreaking two-tone quality silicone straps are comfortable, flexible, ultra-resistant and have a nice soft feel. This unusual designer sports watch band is built with a strong plastic insert for a perfect and solid integration onto the watch case. Suitable for most Wryst timepieces collections and more specifically the Airborne and Elements wrist watches. The bracelets for Ultimate references have a different design. New Green sports watch bracelet with black side lines and Wryst black buckle. This unusual designer sports watch band is built with a strong plastic insert for a reliable attachment to the casing with a unique screw set. The sporty feel added by this futuristic and modern bracelet will be a perfect match for your Swiss sports watch Wryst Elements PH3. Wheather you are using your limited edition timepiece for outdoors and adventure sports or for going out, two bracelets are always included with your original Wryst watch purchase.